A few months ago, I created a last-minute meal I now call “chicken patty melts”. What is interesting about this meal is, I created it out of boredom, and laziness. I had taken chicken breasts out of the freezer earlier that day to let them thaw out. 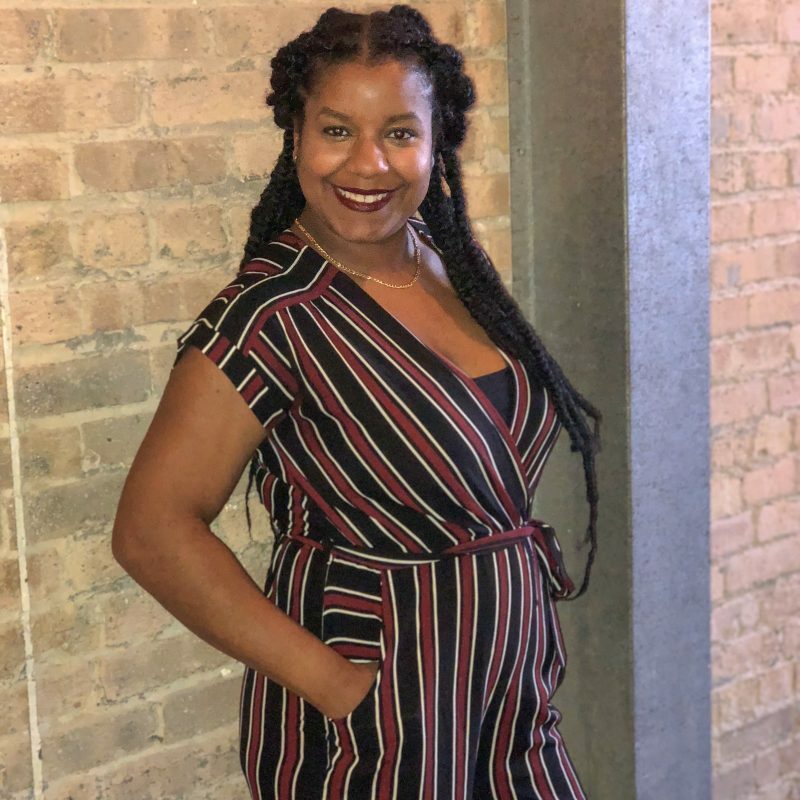 My original plan was to make a chicken stir fry, but once I thought about all of the prep work, it mentally exhausted me. (I wish I were being dramatic). It just so happened I had a craving for a melt of some sort. So I decided to wing it with seasonings and mixtures. Can I tell you I have never been so happy to crave a particular meal, and create a dish better than I ever expected. 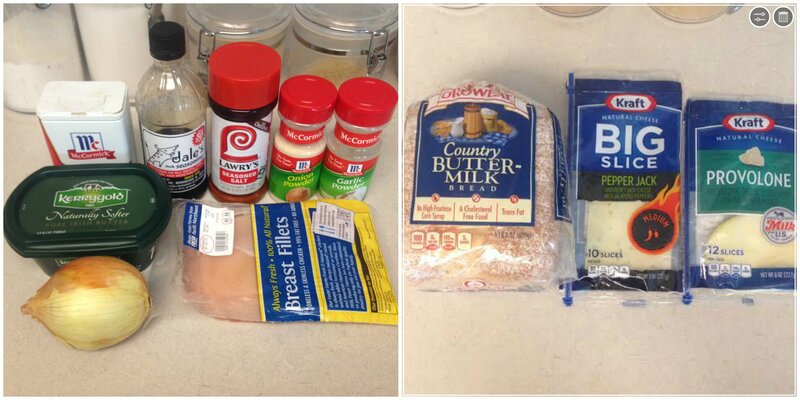 Now that you know the story of how chicken patty melts were created in our household…here’s the recipe :-). 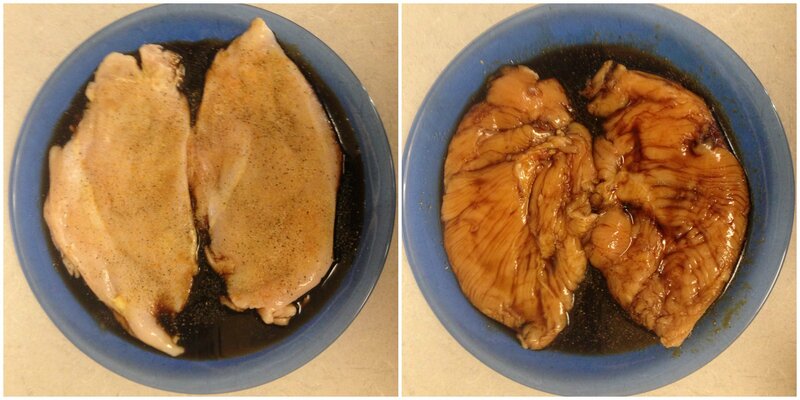 Clean your chicken breast and place both breasts inside a gallon sized Ziploc bag. Using a meat mallet, pound the chicken breasts into whatever thickness desired for your patty melt. I usually pound mine until they are about half of their original size. Set bag to the side. Using a (deep) plate or shallow bowl, pour your Dale’s Steak Seasoning in the plate or bowl. Take your pounded chicken breasts out of the Ziploc bag and place each breast in the seasoning. Let it sit in the seasoning for 3-5 minutes per side. While each side of the chicken breast take turns to marinate, season the chicken, as desired, with your salt, pepper, garlic powder and onion powder. (There is already seasoning in the Dale’s Steak Sauce so don’t over season with your additional seasonings). Cut your onions into whatever size slices you prefer. 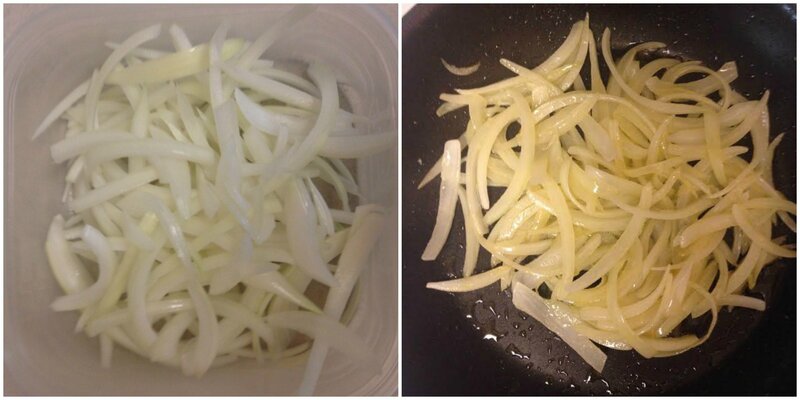 Place the cut onion slices in a bowl and set it to the side. Heat a skillet on medium high heat for about 2 minutes. Take 1 Tbsp of butter and move around the pan until it is all melted. Add your bowl of sliced onions to the sizzling butter and stir for about 3-5 minutes until they are softened and have soaked the butter up. Heat your griddle to 315 degrees F (or use a large skillet on medium heat). Once the griddle is ready, melt 1 Tbsp of butter (you can add more or less if you want), then place two of your four slices of bread directly on the butter, add a slice of cheese to each bread slice, top each slice of bread and cheese with one of your cooked chicken breasts. Add your last Tbsp of butter to the skillet until melted, put your last two slices of bread on the butter, add a slice of cheese, and top with your cooked onions on each slice of bread. 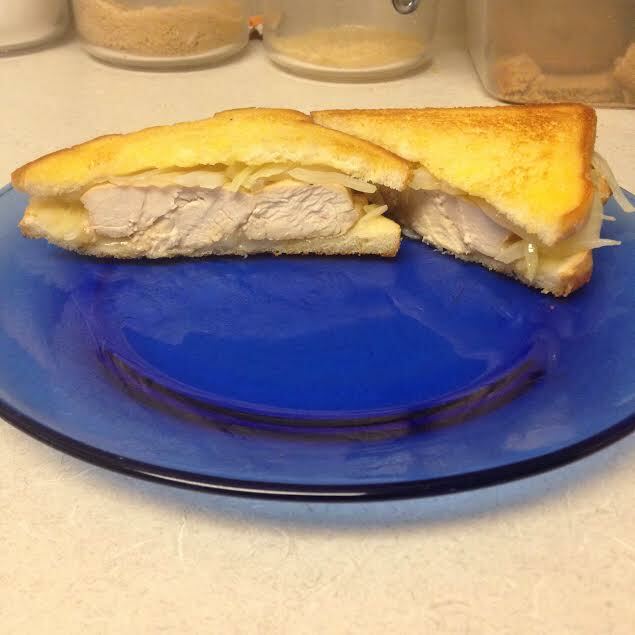 Now take your slices of bread topped with the cheese and chicken breast, flip it over on top of your slice of bread topped with cheese and onions. Use your spatula to press the sandwich down some. This will help the cheese melt on everything and stick together when lifting the sandwich off of the griddle. Let your sandwich sizzle on the griddle until it has reached the golden brown color you want, remove and serve!